Casino Euro – Weekend Wonders! Deposit to claim your weekend goodie bag! Grab your weekend Free Spins and Bonus! Get your weekend gaming off to a fragrant start when you take a bite of your Saturday Goodie Bag filled with Free Spins and a Bonus. Don’t stop after that as you can enjoy a surprise amount of Free Spins if you have deposited from Monday to Thursday at Casino Euro. And it is still not the end as the race to Lisbon to watch Guns N’ Roses live is still running. Earn points towards the leader board to win those tickets or one of the 100’s of runners-up prizes. 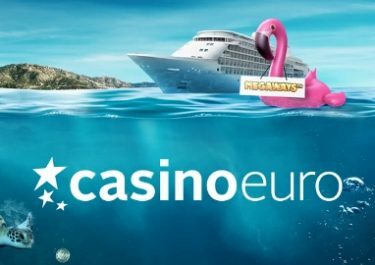 Not yet playing at Casino Euro? Then sign-up now to claim their generous 100% Welcome Bonus, up to €150! 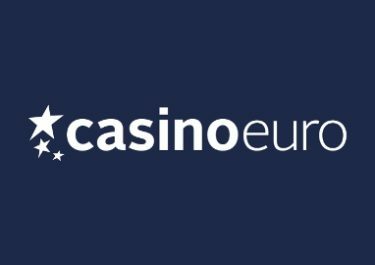 Not one, but to opportunities to score some great Free Spins and a Bonus when you play at Casino Euro this weekend. 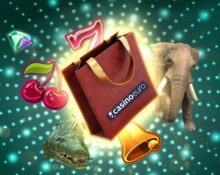 First is a goodie bag filled with 30 Free Spins and a bonus when you deposit. However, if you have done so between Monday and Thursday you can look forward to your weekend surprise Free Spins. All extras are credited instantly after the deposit. 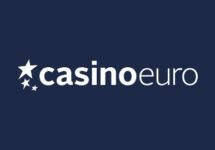 Free Spins winnings have to be wagered 15x within five days while the bonus carries a 40x wagering requirement within five days, all subject to the Casino Euro bonus terms and conditions. Did you deposit minimum €10 between Monday and Thursday this week? 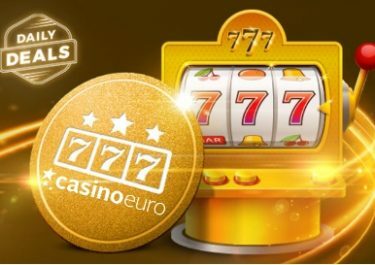 If yes, then watch out for your inbox message when you log-in to your Casino Euro account this weekend as there will be Surprise Free Spins waiting for you. The amount of the Free Spins is based on the deposit and activity level in the casino in the current week. Free Spins will expire on Sunday, 23:59 CET. Winnings from them have to be wagered 15x within five days, subject to the Casino Euro bonus terms and conditions.